“Henry Joseph Delaney (1891-1917),” Wyndham History, accessed April 20, 2019, http://wyndhamhistory.net.au/items/show/1285. Studio portrait of 5671 Private (Pte) Henry Joseph Delaney, 7th Battalion. A grocer from Werribee, Vic prior to enlistment, Pte Delaney embarked with the 18th Reinforcements from Melbourne on HMAT Ayrshire on 3 July 1916. On 27 April 1917 he was killed in action on the Somme, aged 26, and is commemorated on the Villers-Bretonneux Memorial. This is one of a series of photographs taken by the Darge Photographic Company which had the concession to take photographs at the Broadmeadows and Seymour army camps during the First World War. In the 1930s, the Australian War Memorial purchased the original glass negatives from Algernon Darge, along with the photographers' notebooks. The notebooks contain brief details, usually a surname or unit name, for each negative. Before enlisting in the A.I.F. on 10 February 1916, Harry Delaney was a grocer with Comben & Co., of Werribee. He was born at Kapunda in South Australia in 1890, and at an early age his family relocated to Werribee. After enlisting, Harry was on strength with the 7th Battalion, 18th Reinforcements at Broadmeadows. Then within a month of enlisting, he embarked from Melbourne on H.M.A.T Ayrshire, bound for Plymouth. After arriving on the 2nd September 1916, he joined the 2nd Training battalion. He took some unauthorised Christmas leave by going Absent without leave for 10 days between the 19 and 29 December 1916. This cost him 11 days in detention, 2 days in custody, and a loss of 24 days pay. In some documents, Harry is referred to as a Signaller. He probably received this training while in England, early in 1917. On the 10th April 1917, Harry moved to Etaples in France, and was taken on strength at the 7th Battalion. Eleven days later he was killed in action on the Somme, France. Henry has no known grave, and is commemorated at the VILLERS-BRETONNEUX MEMORIAL, in France. 1. DEATH. - ON ACTIVE SERVICE. DELANEY, - Killed in action on the 21st April. Sig. Henry Joseph (Harry), dearly loved eldest son of Mr. and Mrs. M. Delaney, of Werribee, and loving brother of the late Edmond James Delaney, who was killed in action on the 3rd July, 1916, in France, and Michael (on active service), Annie, John, William, Martin, Mary, and also Mrs. E. Mornement, of Elsternwick. Aged 27 years. R.I.P. -Inserted by his loving parents, sisters, and brothers. Werribee Shire Banner, 17 May 1917, p.2. Arbor day was celebrated last Friday at the South Cocoroc State school. Although the weather was cold, the rain kept off, and all enjoyed themselves immensely. A number of trees were planted, and one specially interesting item was the planting of a tree (a Cootamundra wattle) in honor of two fallen heroes in France, previous pupils of the school, Messrs. Edwin and Henry Delaney. This event was per formed by two little dots, Miss Eileen Robinson and Master Vincent M'Grath, the two youngest children in the school. The children then formed a circle round the tree and sang "God save our splendid men." Werribee Shire Banner, 5 July 1917, p.3. Henry had two brothers who also enlisted in the A.I.F. No. 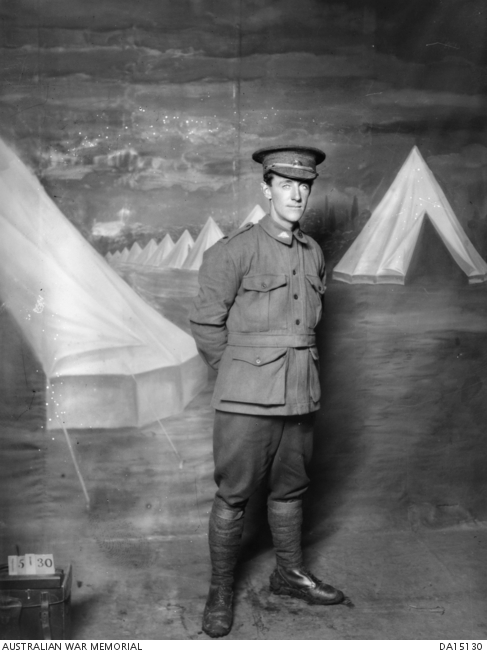 3082, Private Michael Delaney, who contacted Tuberculosis while in France, and was returned to Australia and discharged on 07 June 1918.